them a platform to create user generated content. collect the data you need as a brand. 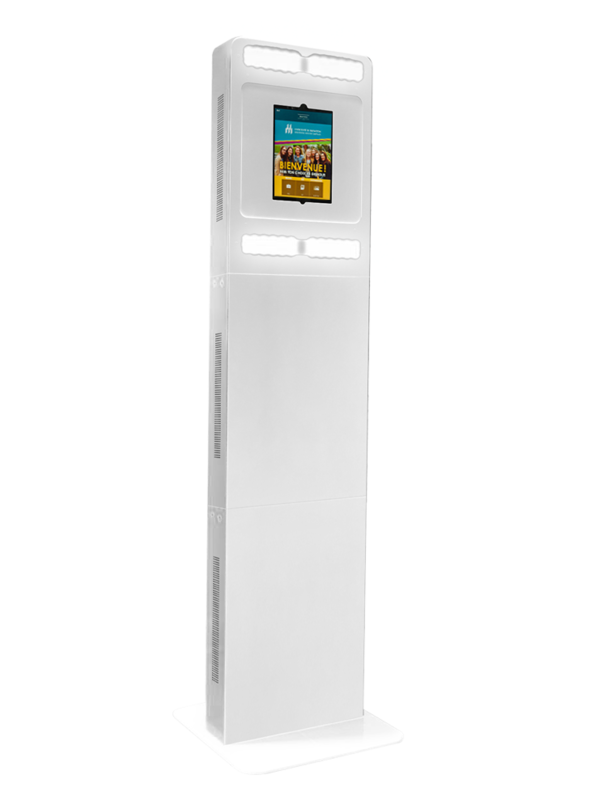 Modern and simple to use, this kiosk provides your brand with incredible social exposure and online engagement. 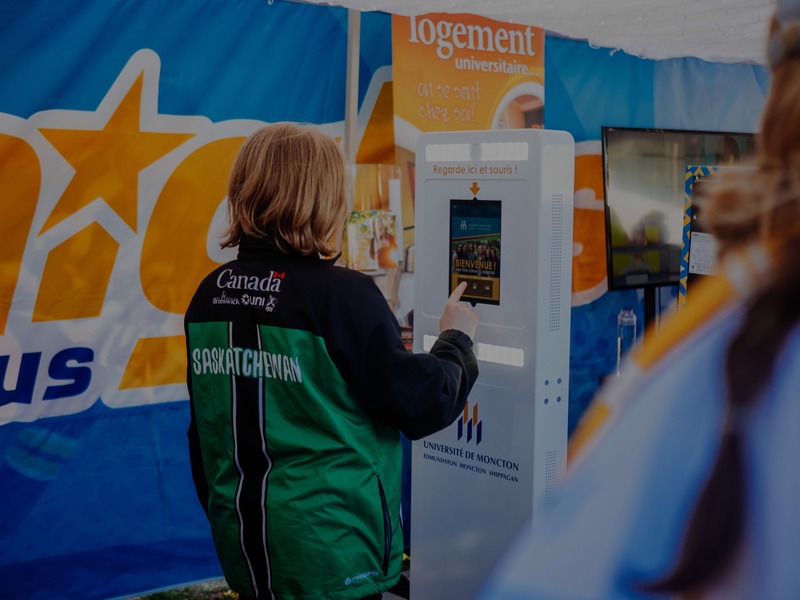 Our self-serve photo kiosks are designed for medium to long-term brand activations and offer the perfect solution for large or multi-day events at festivals, expos, conferences and even permanent retail locations. Everything from the actual kiosk itself to the photos, microsite and interface can be branded. You choose which options best fit your needs. We know how important Social Media posting is to our clients. That’s why we have developed a system that works with all of the restrictions for each social network. We use what we call a Microsite. 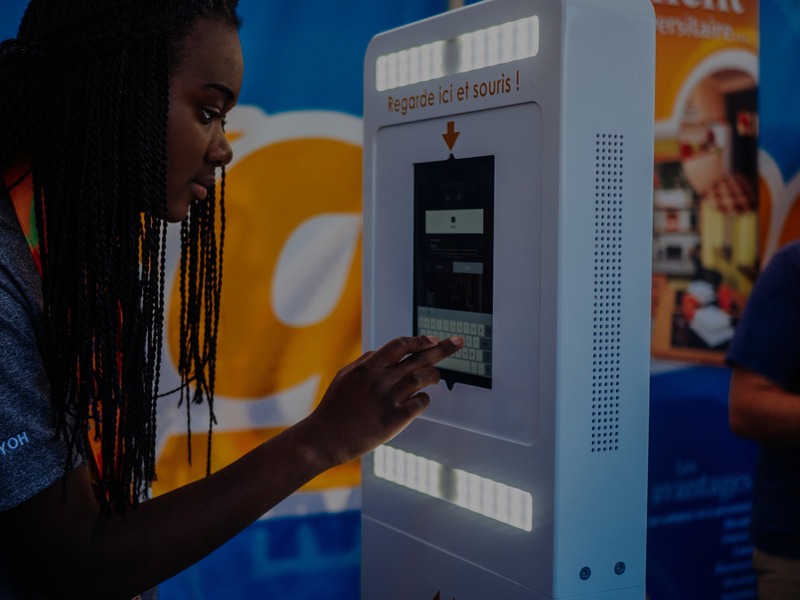 That microsite is essential, as uploading from the actual photo kiosk would cause significant delays during the event. Guest simply type in their phone number or email address after the session is over and receive their item (photo, video or gif) via our branded online platform ( Microsite). From that platform, they can share it to social media straight from their phone or computer. That microsite can also include pre-populated facebook & twitter text or hashtag. We can then track all social engagement via our online dashboard. 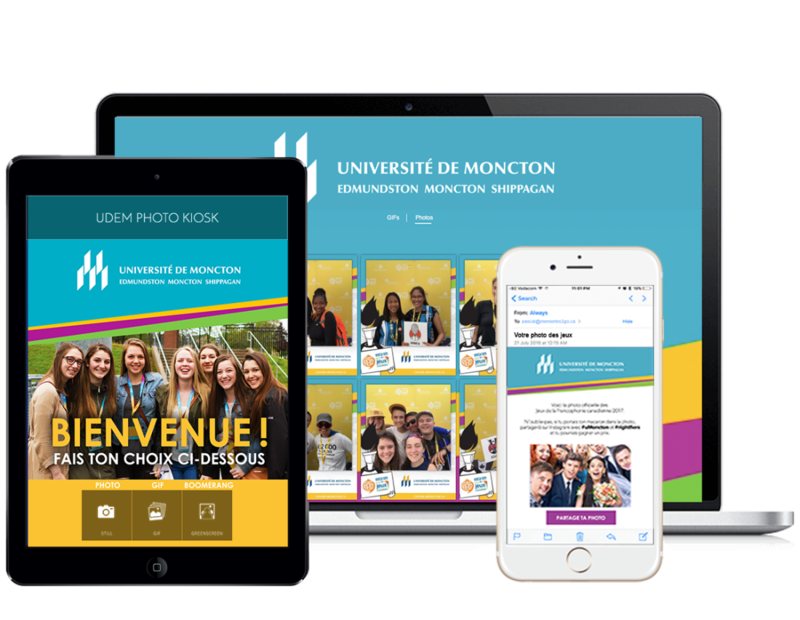 Brand every aspect of your photo activation, from the on-screen background and photo templates to the emails and microsites. Give consumers a complete brand experience! Your brand gains a considerable amount of exposure on social media thanks to all of the shared pictures online. The best part of it all is that the consumers do most of the work by promoting your brand within their circle of friends. If you are a marketing professional driven by data and metrics, don’t worry because we’ve got you covered with numbers and quantifiable results. To help optimize the end results of your marketing activation, we collect valuable data such as email addresses to enrich your databases as well as other information collected through short survey options. For example – we can also collect a consumer’s mobile number, hometown, age category and other information as required. Not only does this bring added value to your activation, but it also allows you the opportunity to target consumers through future online retargeting campaigns. Thanks to the way our software was carefully crafted, we’re able to collect analytics to determine the number of photos taken, number of photos shared, how and where they were shared, and number of views on the microsite. We can even provide you with a timeline of peak times during the activation. Analytics are presented in simple and easy to understand format with charts and info graphics. 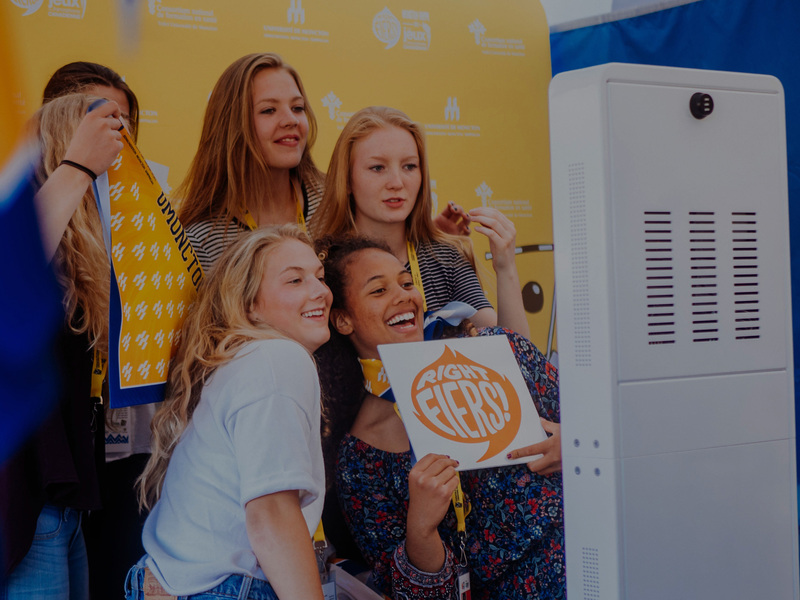 Integrating user-generated and social content with a photo booth marketing campaign give people the opportunity to share their positive experiences with your brand online, which is now an essential part of influencing the purchase decisions of consumers. 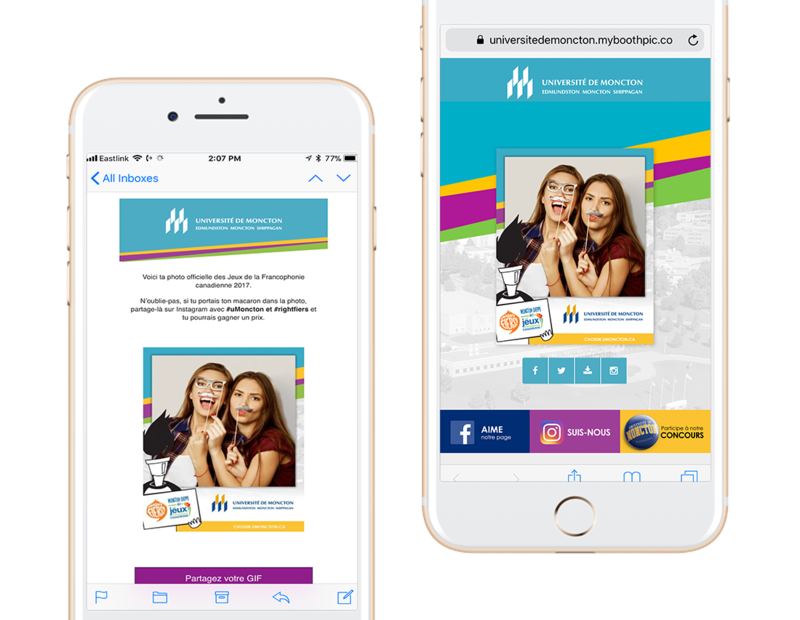 Our HTML emails allow you to customize just about everything: your brand’s logo and colors, custom headers and footers, and of course, the user’s photo, GIF or video with social media sharing options. We truly want to give your consumers a complete brand experience! No need to worry about internet, our system will safely store and queue the images and send them to the server once the internet is up again. We can make changes to branding, messaging and settings without having to even be on site. Get sharing permissions by prompting users with customized disclaimers. 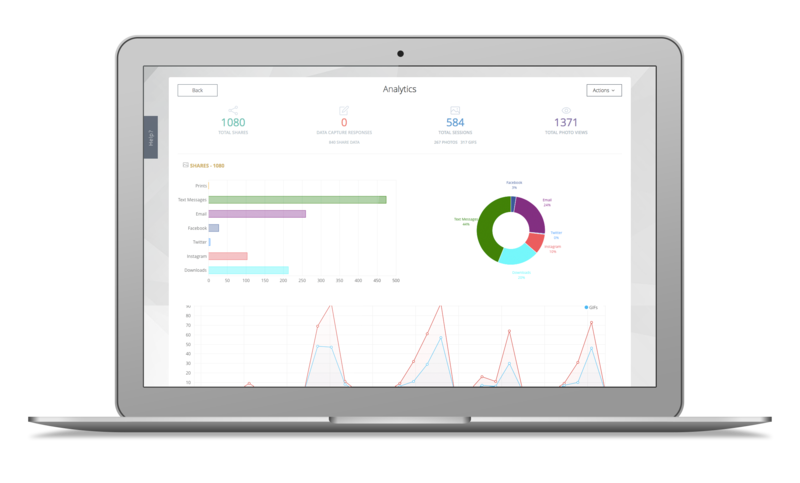 Real time data on stats, shares, and impressions for every event you do with our built-in analytics platform. Our app feature an in-app gallery option where guests can access previous photos and then share again from a branded website. Our app allow you to customize what information you want to capture from your guests. We connect and engage with consumers through unique photo experiences by offering them something they love, all while providing you with visibility, social influence and data. This booth is using the same technology as our iLumini’s. It can be personalized and shipped directly to your event anywhere in the world with pre-loaded settings. Setting up and operating the booth is simple, but our professional staff is happy to assist when needed! Once the event is over, you simply send it back to us!